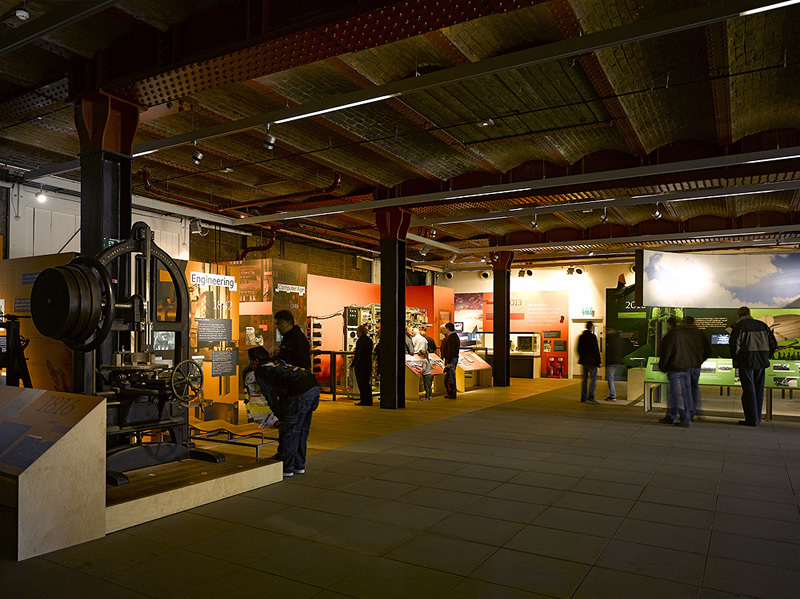 The existing MOSI is distributed over 5 main buildings on a Victorian industrial complex in Central Manchester comprising Aerospace, Power, Revolution, 1830’s, Administration and Conservations and Collections. 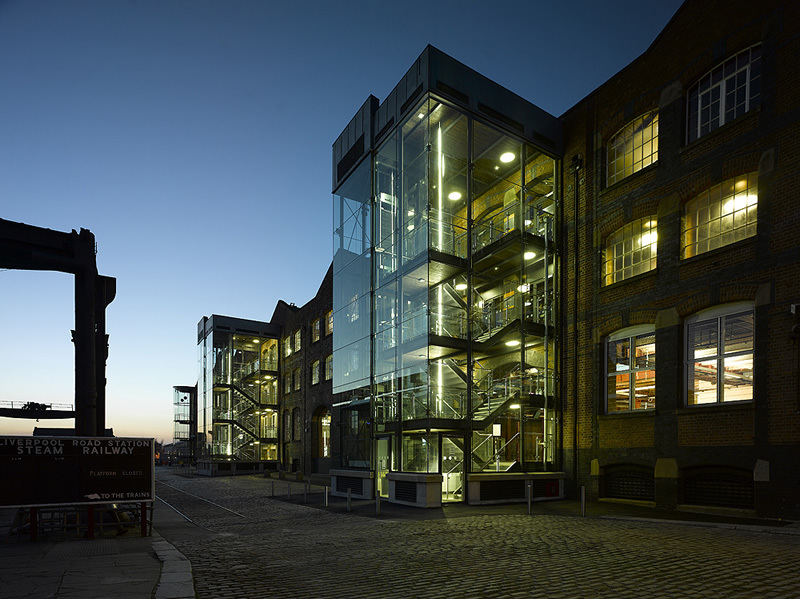 The first phase of the redevelopment was the refurbishment and remodelling of the Lower Byrom Warehouse (Revolution) to give greater educational experience through a new permanent exhibition, corporate presentation suites, functions & catering and a high level of inter-actives and ‘first person’ involvement. It also included space for the administration office and meeting accommodation. Silcock Leedham carried out full detailed design including acoustics and fire engineering. The building was modelled to utilise the benefits of the thermal heavy weight original stone structure coupled with a new light weight extension. 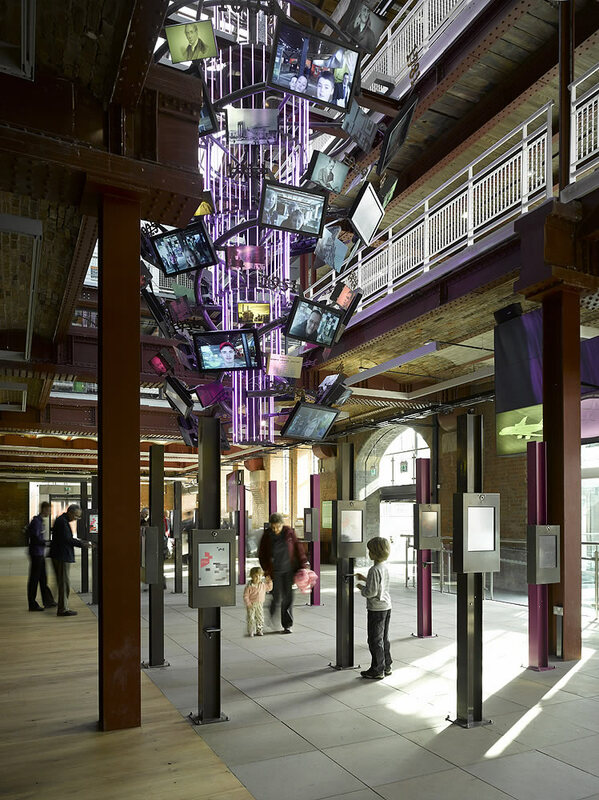 The 8500m2 Grade II listed Victorian warehouse building was to include environmentally controlled gallery spaces as well as education spaces with the clients aspiration to expose as much of the internal cast-iron and brick structure as possible, therefore all services distribution was creatively integrated into the exhibition design and fixed vertical partitioning. We also designed the vertical transportation, including two external glass lifts with viewing platforms. Due to the constraints of the building, the design had to maximise the minimal space available and integrate the new building engineering services within the existing listed building structure. Detailed surveys were carried out for all of the exposed and concealed services to establish points of connection between the existing listed structure and the new extension. Silcock Leedham was responsible for full compliance with Part L building regulations and establishing a system of energy ‘trade-offs’ between the old and new building to minimise the building’s carbon footprint, whilst allowing the existing listed building to operate efficiently. We were also appointed BREEAM assessors and developed a bespoke tool with BRE to adequately assess the building.